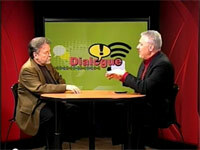 I was fortunate to be asked to to appear on the Dialogue show on Jackson Energy Authority’s Internet television station called EPlusTV6. We had 30 min. to talk about the right and wrong way to engage in social media. Here are all 3 segments of the show. I would love to hear what you think about the right and wrong way to do social media, so hit the comments below!